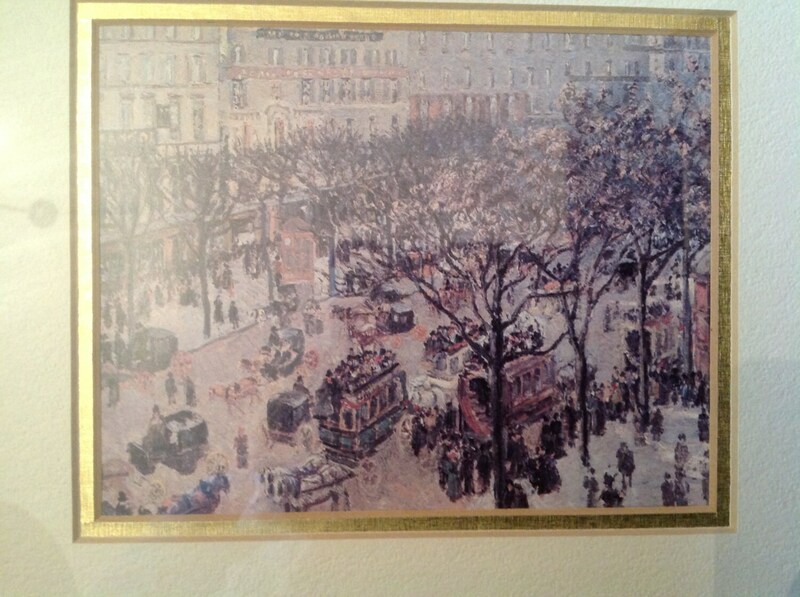 Offered is a reproduction painting by the Impressionist artist, Pissaro, titled "Boulevard des Italiens, Morning, Sunlight" (l897). The brush strokes are loose and free. 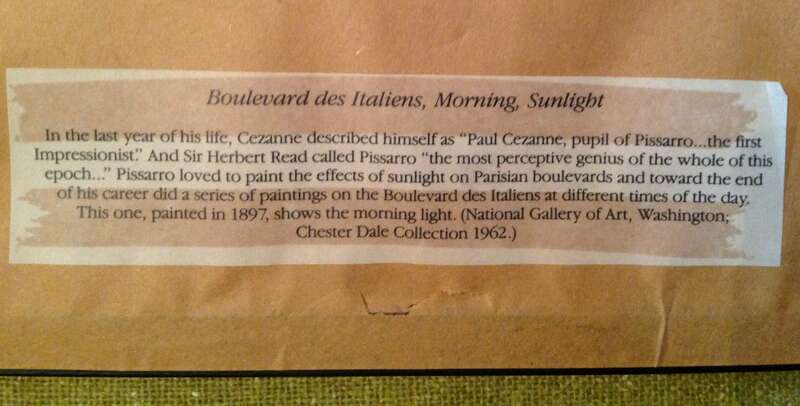 On the back is a label describing the artist's work: "Pissarro loved to paint the effects of sunlight on Parisian boulevards and toward the end of his career did a series of paintings on the Boulevard des Italiens at different times of the day. 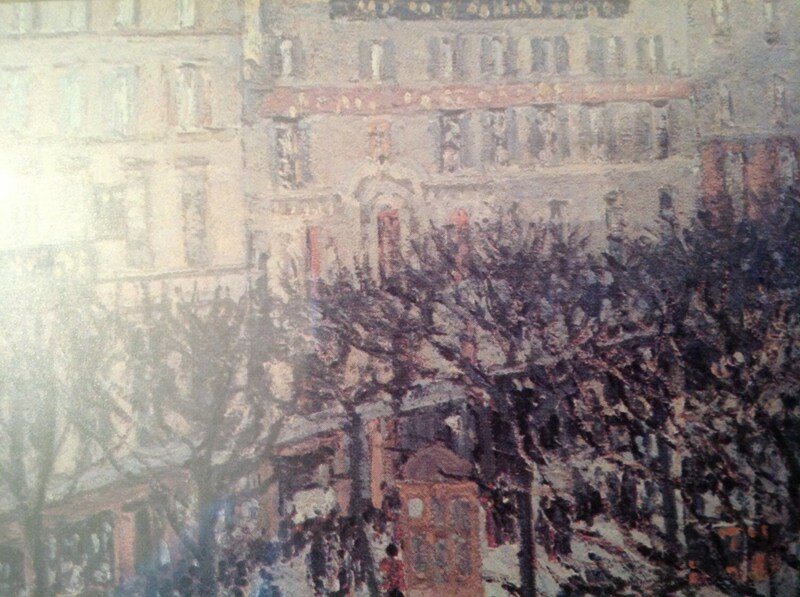 This one, painted in l897, shows the morning light." 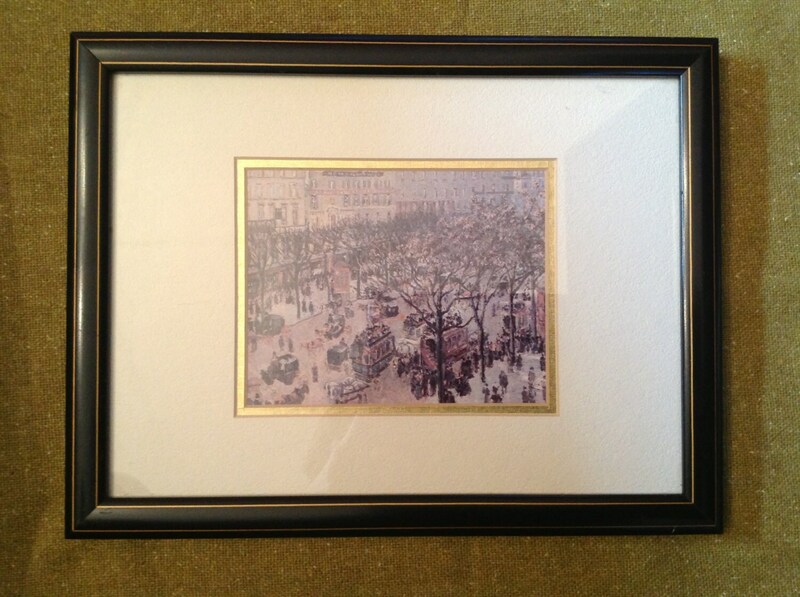 The frame is black with thin gold stripes. The mat is ivory with gold foil accent. 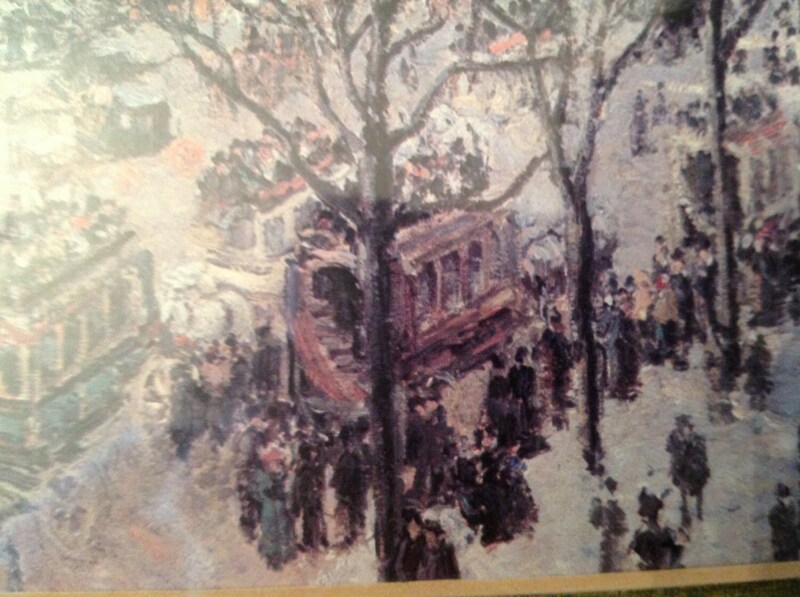 There is so much to look at in this painting!